This referee gave the assist of the year. After a player took the corner kick it deflects on the referee and gives a striker the perfect opportunity to shoot. The ball went straight into the goal. Could he have prevented that? 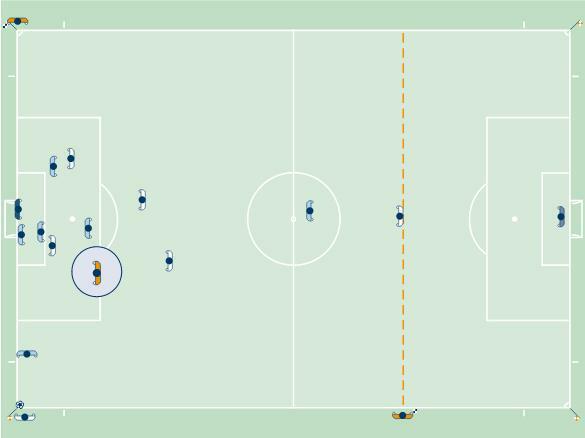 Tips for referee positioning at corner kick situations. But check out the video of this situation first. It’s a game between Sampdoria and Hellas Verona that ends in a 5-0 win for the home team. First ask yourself what would be your ideal position for a corner kick? Do you stay in the penalty area or not? Ideal positioning for the referee according to FIFA guidelines is just outside the penalty area a bit left from the goal (so NOT on the side where your assistant is). That is the positioning when the corner kick is take at the side of the referee. 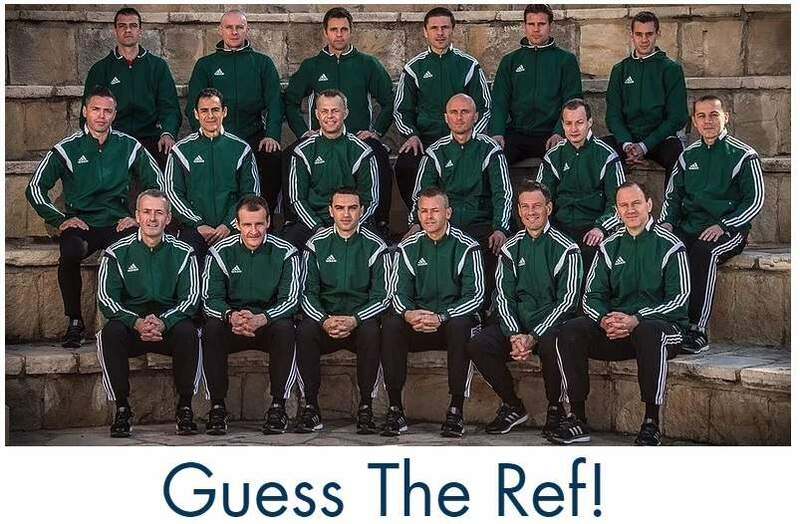 You’ll see a small difference in the image below, when the corner kick is at the assistant referee’s side. Have you seen it? The body of the referee is slightly different. The first picture indicates that you should also be aware what happens to the left of you. Positioning yourself as in the first image would give you the opportunity to watch to the corner kick taker as well. Don’t watch to the taker constantly, but have a quick look now and then so you’ll know when the ball is taken and if it moves in your direction. The main focus should be on the penalty area, because that’s where most important things might happen. 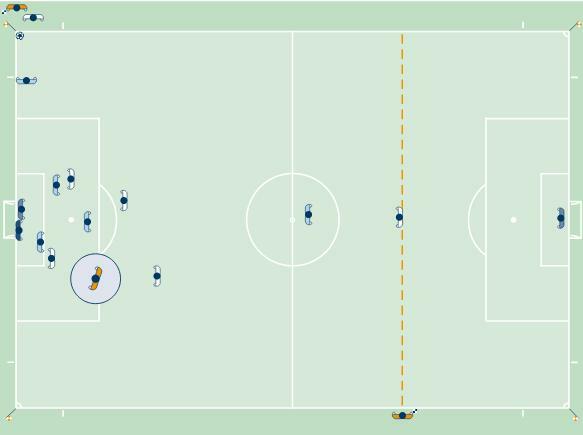 This blog focuses only on the positioning during the corner kick. 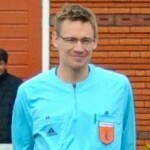 Stephen Green – a referee tutor who unfortunately passed a way while cycling for a good cause – has written a guest post on my blog. Check out his tips on how to manage a corner kick. Posted in Blog, tips & tricks.